The cost of motor insurance dropped in 2018 according to the Association of British Insurers' - the first time since 2014. However, insurance experts say consumers are being duped and savings are not being passed on. 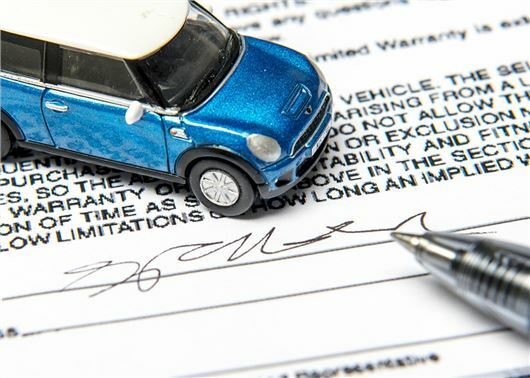 According to the ABI, the average price paid for motor insurance in 2018 was £477 - down one per cent on the previous 12 months. The ABI's survey looked at the price motorists pay rather than the price quoted. >> How much should you be paying for insurance? "This annual fall is good news for millions of UK drivers after a few years of rising premiums, that reflected, in part, rising vehicle repair costs, a weaker pound, and uncertainty around the reform of personal injury compensation," said Mark Shepherd, Assistant Director, Head of General Insurance Policy, ABI. "Implementing the provisions of the Civil Liability Act will be crucial to delivering a fairer compensation system for claimants and continued competitive premiums for motorists." However, industry experts have poured cold water over these claims, saying premiums have actually increased rather than decreased. "Dependent on which figures you want to use from the ABI, a one per cent decrease for 2018 is hardly turning the corner, when premiums are still eight per cent higher than in 2012." says insurance expert Tim Kelly, former director of the Institute of Automotive Engineering Assessors. "The criminal reform bill changed and came into play in March of last year, denying legitimate claimants access to justice while creating massive savings to insurers, boosting their profits. Yet premiums have actually increased, not decreased. "Insurers have till 2026 to quantify the savings as result of the reforms, the Ogden rate was reduced to a more insurer friendly rate which did provide immediate benefits to insurers and allowed higher releases of reserves to shareholders. These very releases could have been passed onto customers in premium savings but were not," added Kelly.
" Savings are not being passed on to customers". Really?... I'd never have guessed. Car insurance, with very few exceptions in my long experience, is a racket of which motorists are compelled to become the victims by force of law. Anyone foolish enough to buy or renew any kind of insurance without consulting agents, and conducting a thorough search in more than one online comparison site, deserves to receive the fleecing they will very likely get.The very old and the computer illiterate need to be helped by friends and family or they will surely be stitched up. Automatic renewals should be disabled- they are a licence for the industry to print money at the expense of those customers who place inertia and idleness above economy and prudence. They deserve to be ripped off. From my experience, I am very pleased with my premium this year. I regularly check prices when I renew my insurance (January) and change to one of the cheapest better known names. Last year I changed to Quote me Happy (Aviva's online division) who charged £172 fully comp for a Land Rover Freelander 2 and, not only did they not charge any admin fee when I changed to a personal plate in February, they did not charge an admin fee or any extra when I bought a nearly new Renault Kadjar in September. The renewal came through just before Christmas at £158 and, after doing all the Martin Lewis recommended price comparisons, they were still pretty much the cheapest and so I renewed with them. Saga like many others hope that customers won't bother to check - well here's one that has and I will be ringing the again. Well said, A.Ward.Some of the organisations ostensibly supporting older customers can indeed treat them as ripe for the plucking when it comes to several types of insurance cover. National scandals in fairly recent times involving well-known charities come to mind- the same outfits who set aggressive "chuggers" on the street to block your way. Presumably, they use the commissions earned on selling inflated- price policies to driving pensioners to finance their other laudable charity work for old- timers who can't afford to run cars. Or could it be to help pay the inflated salaries of their CEOs? Surely Overcharging for the elderly is Age Discrimination.